With so many directories to list in these days, it’s hard to know where to start. The bigger directories certainly can provide a great way to promote your business, and some have some great features to allow your business or service to be features on their sites. But generally you have to purchase an expensive package or subscription for you to be able to do this. And do you really get great value for money? Our business directory service is completely free, and we allow all businesses to sign up and list their business. However all listings will be moderated for quality of content. We will not tolerate any un-savoury listings related to gambling or adults products for example. It’s simple to sign up, just use the registration form to the right to get started. 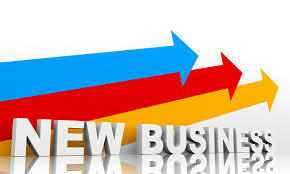 We also offer a range of other services that can help businesses succeed and promote themselves. Website Design and Building: We have years of experience in building and designing website for small and medium businesses. Social Media Campaigns: We work with the biggest social media networks such as Google+, Facebook, and Twitter to develop powerful social campaigns for businesses. Email marketing: If you have a message to get out we deliver great email campaigns to your customers and potential customers. Murray Pest Control: Murrays is an established pest control business in Adelaide, South Australia. Since 1959 it has been providing pest control services for residents and businesses in South Australia. Services include treatment and control of termites, bed bugs, birds, fabric pests, fleas, cockroaches, silver fish, rodents (rats and mice), and a range of other pests that cause problems in homes, buildings, and properties. You can view their full listing here.